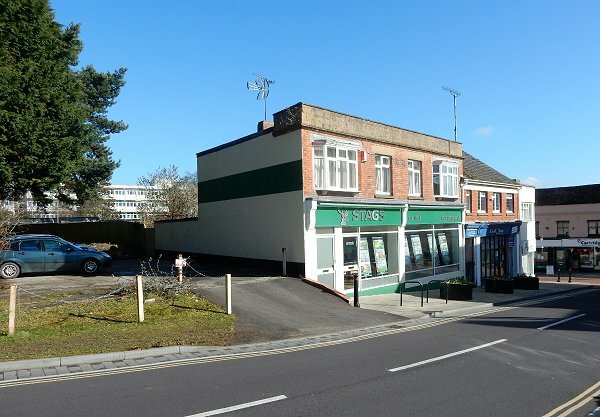 What is now Park Road was originally a narrow lane called Pitney Lane after the name of the manor, Kingston Pitney, whose boundary ran along its length. Pitney Lane connected Princes Street with Clarence Street which, at this time terminated at its junction with Pitney Lane. At this junction was also the eastern end of Ram Park and a footpath ran through Ram Park from Pitney Lane to Preston Road. Pitney Lane is shown on early maps such as Watt's map of 1806 and Bidder's map of 1843, albeit not named on either map. Both of these maps show just a short run of buildings on the south of the lane (in the manor of Hendford) later known as Park Road Cottages and seen in photographs below. 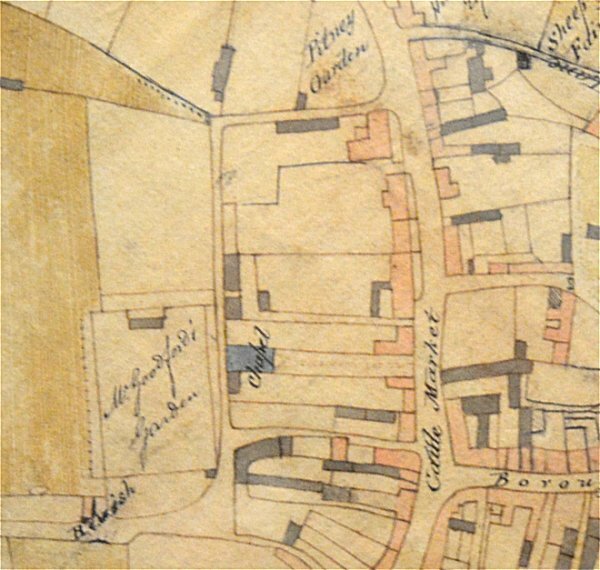 In 1818 John Ryall Mayo inherited Old Sarum House, on the corner of what is now Park Road and Princes Street, and by the time of the 1841 census Pitney Lane was known as Mayo’s Lane. In 1841 there were only three households, totaling ten people, living in the cottages. In the 1871 census the road's name had reverted to Pitney Lane and still housed three families - those of Physician and Surgeon Timothy Fudge, gardener Benson Baker and tailor Jeremiah Morris - just eight people. Between the time of the 1871 census and the 1886 Ordnance Survey Park Road was extended westwards (into what had been Ram Park) although it stopped short of the northern spur that today joins with Preston Road. 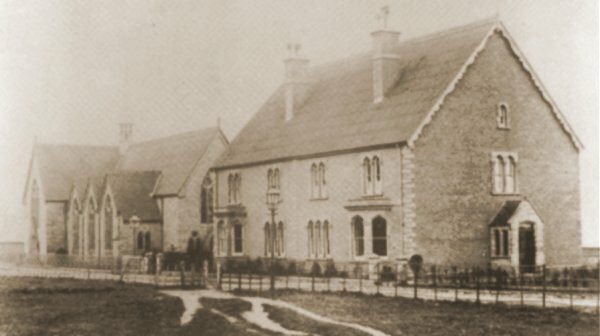 The Reformed Episcopalian Christ Church, together with a Sunday School building to its rear, was built in newly-built Park Road and completed in 1880. 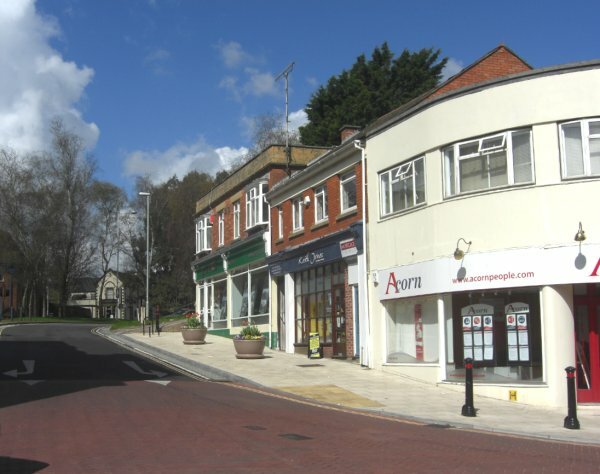 The northern spur of Park Road was not built until about the time that the vestiges of Ram Park were presented to the town as Sidney Gardens by Alderman Sidney Watts when he was mayor to commemorate the 1897 diamond jubilee of Queen Victoria. 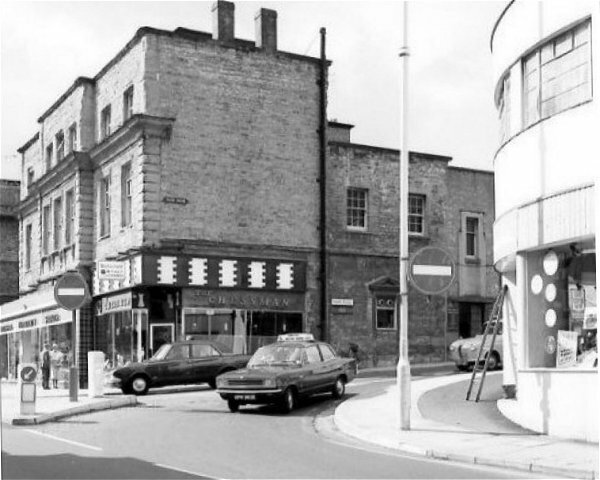 By the middle of the twentieth century a variety of shops lined the northern side of the road, especially west of the junction with Clarence Street, as seen in the photographs below, although most of these were lost when Queensway was constructed in 1976. E Watts' map of 1806 shows Park Road at top centre just south of Pitney Garden, albeit un-named. At this time, and for many years to come, Park Road was then known as Pitney Lane and ended at the northern end of Clarence Street. At top left the long triangular field joining the end of Park Road was Ram Park. 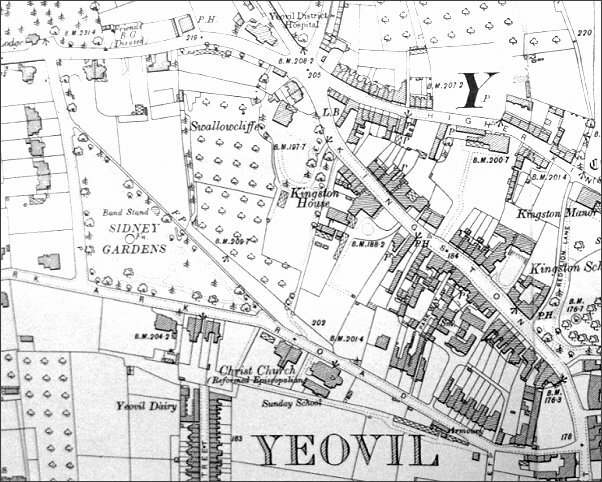 The 1901 Ordnance Survey. By this time Park Road had only recently been extended beyond Christ Church to turn north along the flank of Sidney Gardens. The entrance to Park Road seen from Princes Street in the 1960s. 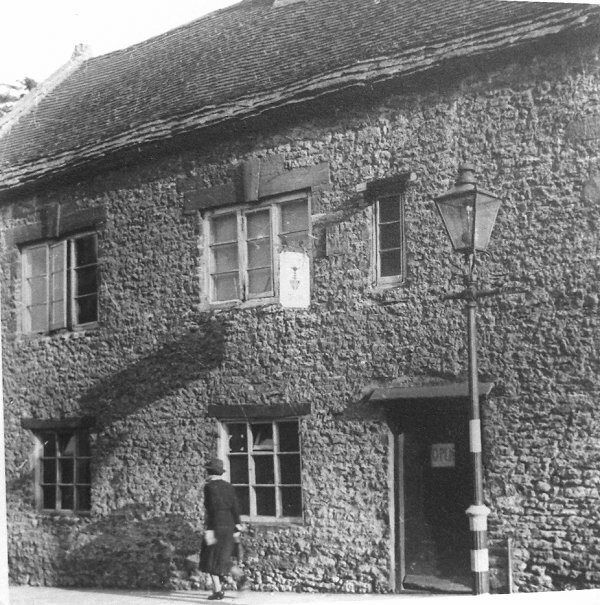 Old Sarum House dominating the picture at left, the former home of Yeovil's first mayor, John Ryall Mayo was the Chessman Café on the corner (now Prezzo which occupies the whole building). 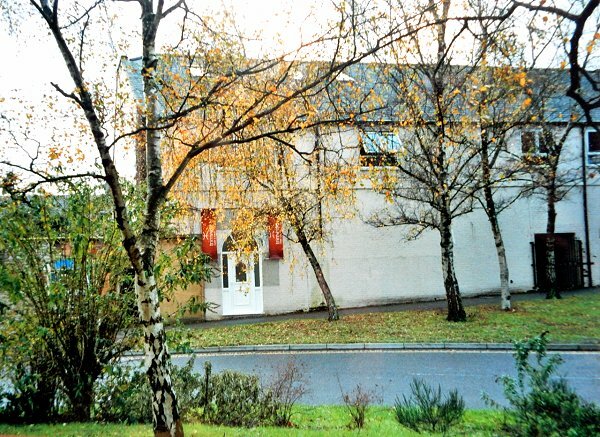 Again, looking from Princes Street along Park Road, but this photograph shows the northern side. 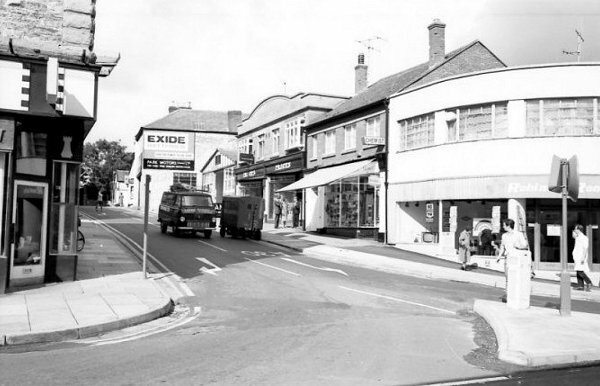 Park Motors has the large 'Exide' sign on its side and the building at centre with the rounded parapet is E Price & Son's music shop that sold pianos and other musical instruments. 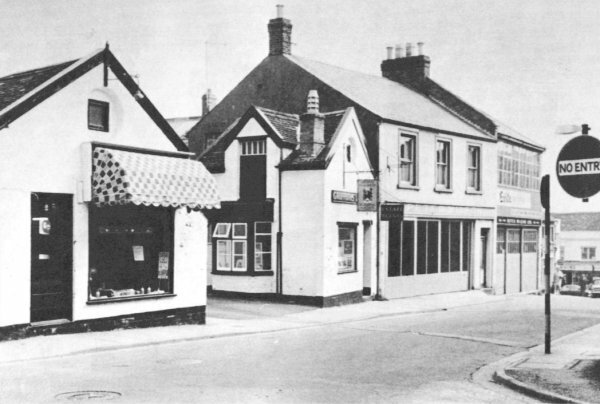 The shop with the awning was chemists Holman & Hann, later G Titman the Chemist's. Park Motors was demolished when Queensway was built but Price's building survives (albeit with a now-straightened parapet), as do the other buildings to the right. Almost the same scene photographed in 2015. The north side of Park Road photographed in 2014. Pitney Garden originally occupied the whole of this corner and extended beyond the lamp-post, with a gateway in the wall roughly where the left-hand planter stands. .... and seen from the west, looking towards Princes Street. Photographed in 2015. Although it looks like it could be the same view as the previous photograph, this photograph of the 1960s is actually taken further along Park Road at the junction of Park Road with Clarence Street, with Telford House, the old telephone exchange, behind the photographer's back. At far right, in the distance, is Princes Street. At centre is Griffiths estate agents and at right, with the Exide sign, is Park Motors. None of these buildings survive. A little further along Park Road (the Beach would be just off-picture to the left). 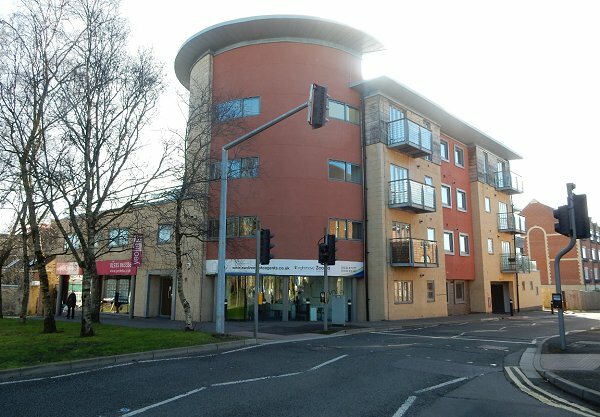 In the distance at right is Telford House, the former telephone exchange, on the corner of Clarence Street and at far right is Park Motors which was owned by Wilson's who also had a car showroom in Princes Street which is now occupied by Walter Wall Carpets. 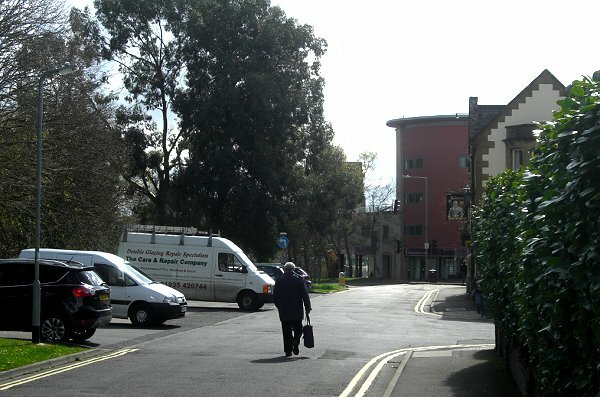 At centre are the cottages known, curiously enough, as Park Road Cottages. These are shown on Watts' map of 1806 above. 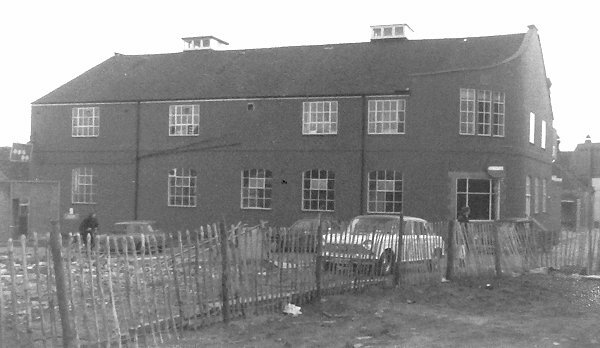 Park Road cottages, photographed around 1950. Edwin Snell's printing works on the corner of Park Road and Clarence Street. Photographed in the 1970s (?). 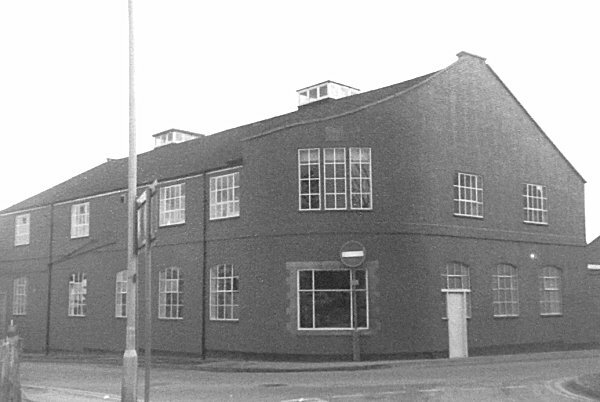 Edwin Snell moved to Babylon Hill and the printing works were subsequently occupied by Haynes publishing company before becoming the Gardens nightclub in 1981. .... and seen from the opposite corner with Park Road running across the bottom of the photograph and Clarence Street off to the right. 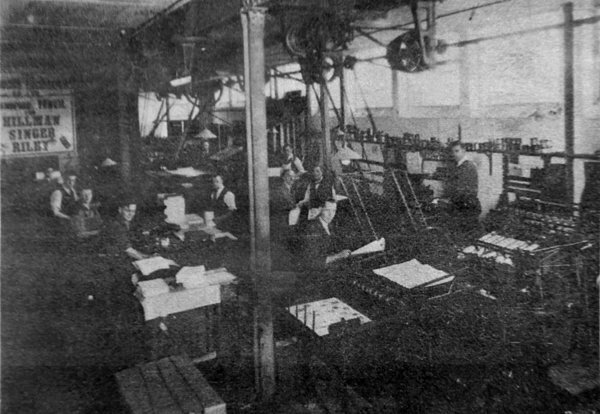 The interior of Edwin Snell's premises during the 1920s. 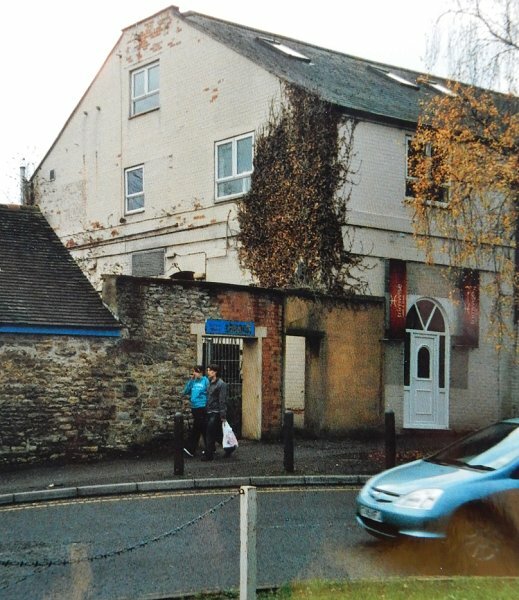 After the Park Road Cottages were demolished (the site is now the Beach), the building on the corner of Park Road and Clarence Street remained as the Gardens nightclub (entrance in Clarence Street) and the First Floor Gym - photographed here in 2006. 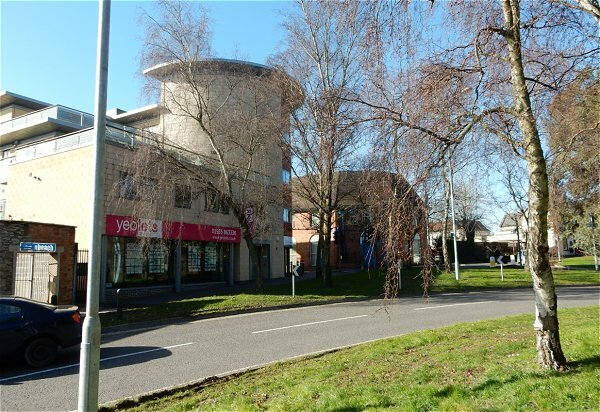 Looking straight across Park Road to the First Floor Gym building in 2006. 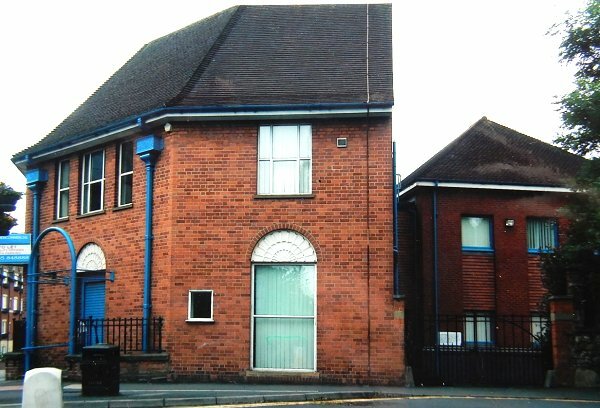 Once the First Floor Gym and the Gardens had been demolished, this new block was erected on the corner of Park Road and Clarence Street. Photographed in 2015. 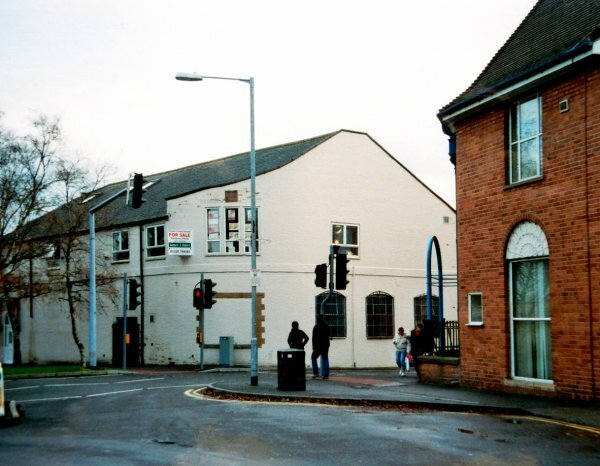 The corner of Park Road and Clarence Street photographed in 2006. The same corner in 2015. 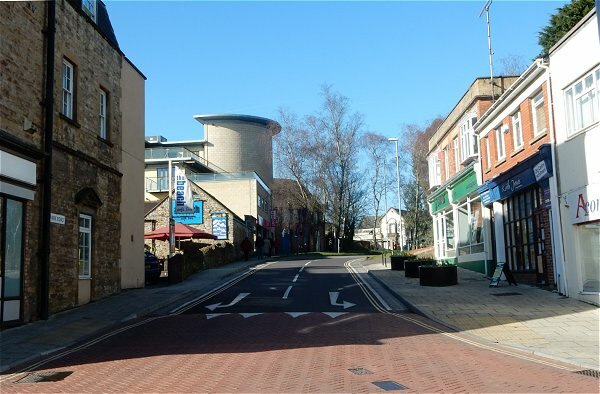 Originally (well, certainly in 1806) Park Road only ran from Princes Street (off photo to left) to this corner and then continued as Clarence Street (seen here running off right. 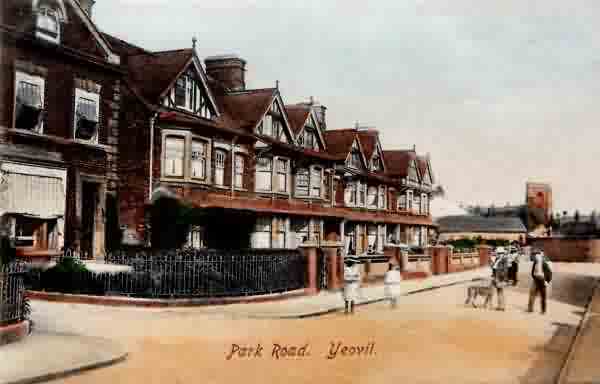 Later, around the 1870s, Park Road was extended into Ram Park and would have run across the photograph and continued off photo to the right. This last stretch, now cut off by Queensway, is now a cul-de-sac. 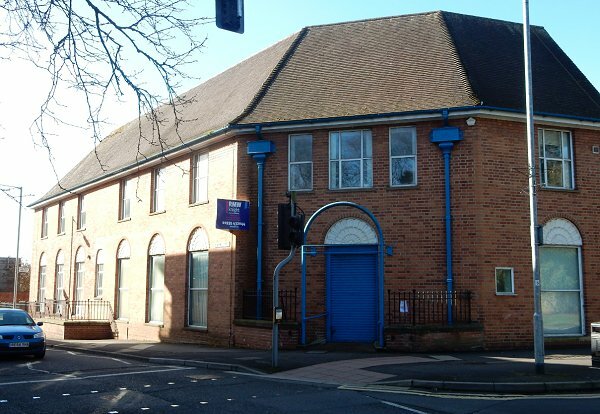 On the other corner of Clarence Street is Telford House, built in 1932 as Yeovil's telephone exchange and extended in 1936. I worked here for a couple of years from 1973 when the Borough Architect's office was on the first floor before moving to King George Street. Telford House seen flat-on from Park Road, photographed in 2006. 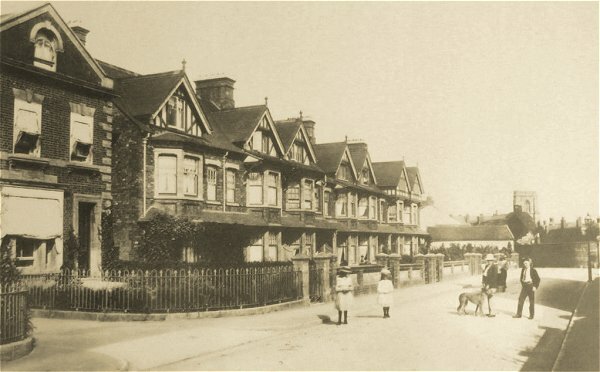 Houses in Park Road opposite the Armoury, photographed in 1910. The same photograph as above, hand-coloured and used as a postcard. 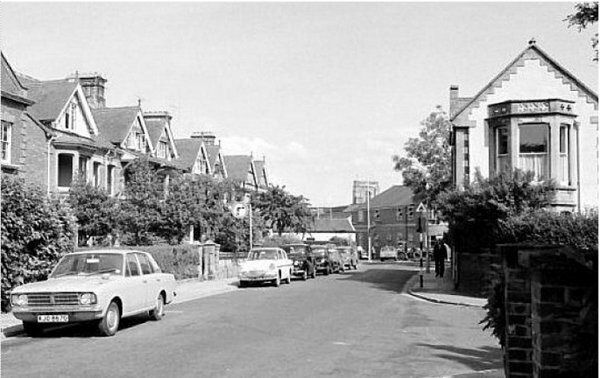 The same houses as above, taken about 1970 and looking east along Park Road towards Clarence Street, and shows the Armoury at right. All the buildings at left were demolished for the construction of Queensway as seen in the following photograph. An aerial photograph of 1972 shows Park Road running from top left towards bottom right. The Armoury as the long, thin white building at the centre of the photograph and at centre bottom is the old telephone exchange, Telford House. A photograph taken by Henry Stiby around 1880 of the Reformed Episcopalian Christ Church (at left) in The Park soon after its construction. 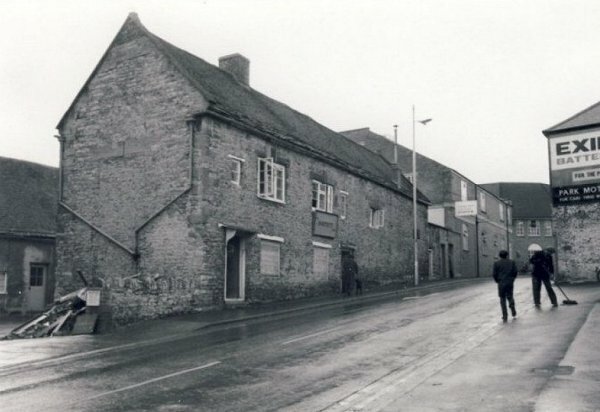 The house at right was Stiby's own house in which he spent the final forty or more years of his life. 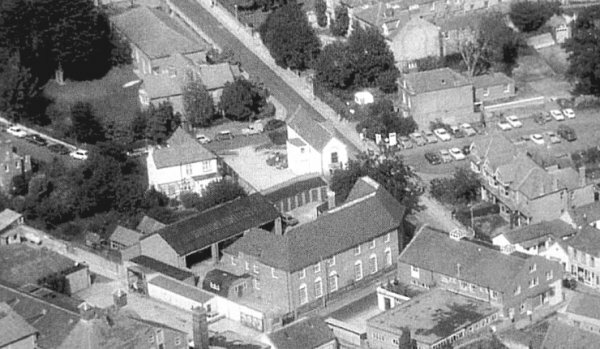 The end of the church at far left is about where the western edge of Queensway is today.